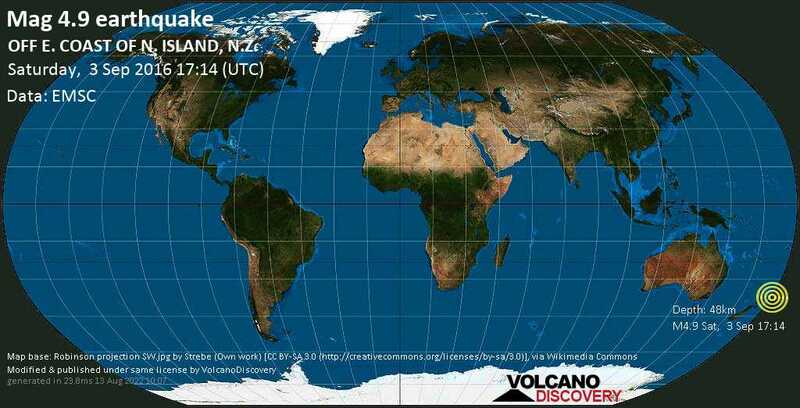 Sep 3 20:52: Magnitude recalculated from 4.9 to 4.0. Hypocenter depth recalculated from 10.0 to 45.0 km. Sep 3 20:54: Magnitude recalculated from 4.0 to 4.9. Hypocenter depth recalculated from 45.0 to 48.0 km.